Introducing the Book of Ruth! In case you missed the first announcement – here is our next Bible Study!!! We begin our study in the the Book of Ruth on Monday, September 10th! This is a 5-week study that runs Mondays through Fridays, ending on October 12th. It is available on Amazon NOW! Both inPaperback and on Kindle! This is not like the journals that I typically release at the start of a study. This Bible Study is a verse by verse – chapter by chapter – in-depth study in the book of Ruth. My mom and I have worked together, just like we did when we wrote the in-depth study of the book of Ecclesiastes. This means we have done the background work and have written a verse by verse guide through this book. 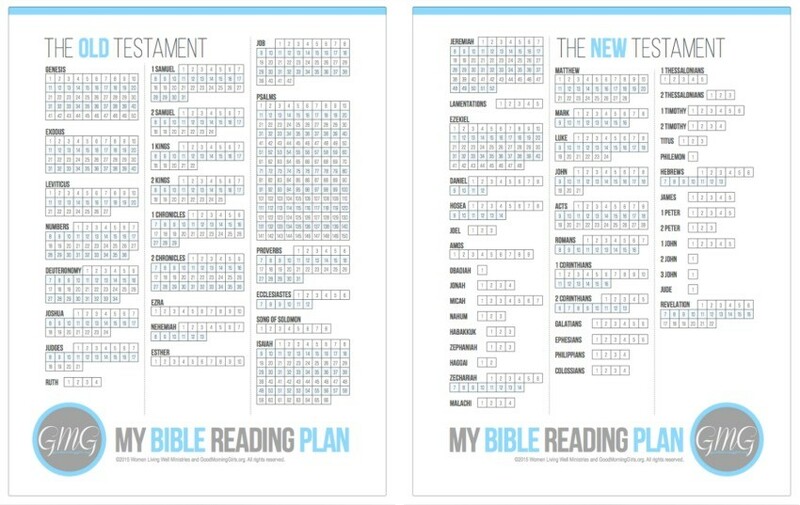 It includes cross references to the New and Old Testament, application questions and discussion questions so you can do this with a group if you choose. The story of Ruth and Boaz is one of the most beautiful examples of God’s love and sovereignty recorded in the Bible. Woven through out this beautiful love story is a greater story of God’s amazing love for us. If you have faced loss and wonder if God really loves you or if God is involved in the details of your life, then this study is for you. Ruth’s courage in the face of adversity will inspire you to trust God with your future. This book will fill you to the brim with hope, as you see an imperfect family be used mightily by God! 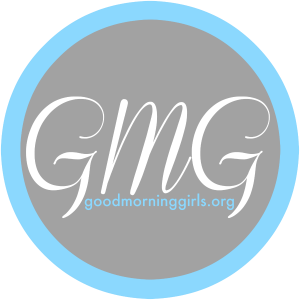 If you are new to Good Morning Girls – Welcome!!! I am so glad you are here! We are reading through the Bible cover to cover and so far we have completed Genesis, Exodus, Leviticus, Numbers, Deuteronomy, Joshua, Judges, 1 Samuel, 2 Samuel, Job, Psalms 1-50, Proverbs, Ecclesiastes, Song of Songs, Matthew, Mark, Luke, Acts, Romans and James! I am SO excited to study the book of Ruth with you this fall! You can use this printable Reading Plan to mark off your reading as you go! How do I enroll for this summer study? There is no enrollment. No requirement to subscribe. Just come and join in anytime! What is Good Morning Girls? 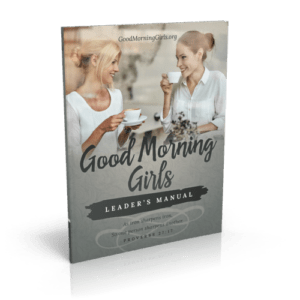 “Good Morning Girls” is a title for a group of women who use email, Facebook, Twitter or text messaging to keep each other accountable for their quiet times. Do I have to have a Good Morning Girls Group to join the Bible Study? No. You can do this study without a group on your own. How Do I Start a Good Morning Girls accountability group? Invite some of your friends to join you. Pray about who from your church, Bible study group, family, neighborhood or workplace would be a good fit. Groups that are smaller generally work better – 5-12 is a good number especially for email and text messaging groups. Facebook groups can go quite a bit larger and still work. Once I have a group, what do I do? Either create a Facebook Group where you can all discuss your daily reading and reflection questions or create an email group and email the group daily. My group uses Voxer – a voice messaging app -to share about our quiet times. You could also use text messaging or meet in person weekly in your home or at a coffee shop. I want to be a leader of a group but I’m not sure how to lead? If you are unsure of how to lead an accountability group, we have a GMG Leader’s Manual. It is available on Amazon. The manual includes: The leader’s responsibilities. How to set up a Good Morning Girls Group. 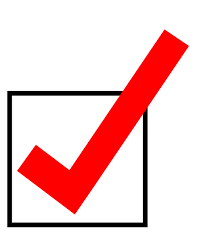 What to do once your group is set up. Tips to help your GMG Group thrive. How to Encourage Participation. How to fostering an atmosphere of community. The importance of prayer. A sample welcome letter. 9 ways to get more out of your Bible Study. Answers to frequently asked questions. Icebreaker Questions. And What to do if your GMG Group is struggling. Can I Join a Group On-Line? Yes, on Friday, August 31st I will invite women with open groups to leave links to their facebook groups or email groups, in the comment section here on the blog. So please stop back on that day to look for a group! Join us on the blog, Instagram and Facebook! Mondays – All of the free Resources for the week including the Daily Reflections Questions and printable Verses of the Day will be posted here. Fridays – they’ll be a Friday wrap-up devotional video here on the blog. On Mondays, Tuesdays, Wednesdays, Thursdays and Fridays, I’ll be posting encouragement for your study in the book Ruth. Follow me on Instagram here. On Mondays, Tuesdays, Wednesdays, Thursdays and Fridays, I’ll post the assigned reading of the day at 7:30am and an open discussion takes place there. Come anytime during the day and join us. Check it out! It’s wonderful! Go to Good Morning Girls Facebook Page here. Mark your calendars for September 10th! Spread the Word! Share this post with your friends! And look for the free resources and more details (regarding regrouping or leading a group) coming on August 31st! I thank the Lord for you all and can’t wait to study the Bible with you this fall! to get it in time for the start of our study! “Look Inside” feature out on Amazon. How do I find the reading schedule for Ruth? I ordered the workbook but was looking for the reading schedule and printable resources you referenced above that would be posted on August 31. Thank you. I could not find the look inside on this book. Will it be like the Psalm study book? Can you do this study without the journal? Hi Iris – This Bible Study guide is not a journal. You can join us without the workbook but you will miss out on a lot of content. 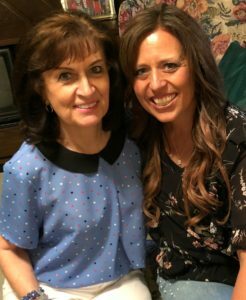 My mom and I studied the book for months and put together all of our background work to create a verse by verse guide through the book of Ruth. anyone willing to order me the book and have it shipped to me. I only have checks and this place will not take checks. 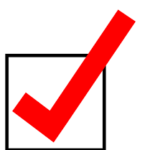 I will send you a check or money order. Please email me at courtney@womenlivingwell.org regarding this and I can help you out! Will there be free resources for those not buying he book? Yes – like all of my studies – every Monday there will be free resources here for the week and every Friday I’ll be posting a video here. The daily reading plan will be posted here on August 31st so you can follow along with us. Just your Bible and you are all set. If you want to do the color coding – you would need a pack of colored pencils. Why are your pics of the inside of the book on your FB page not the same as the one purchased through your link? Example: In my book, day one heading is “Loss, Loyalty, Love, and Lineage”. Your pics show day one heading is “Walk by Faith”. Hi Dori – good question! My pictures were taken from Week 2 of the Bible study because I wanted to get pictures past the introduction section. Awesome – thank you so much for sharing your link here! Can you leave your link in the comments on my most recent post here: https://womenlivingwell.org/2018/08/good-morning-girls-resources-for-the-book-of-ruth/ I want ladies to be able to find you! Thank you so much for leading! I would like to join this Bible study. 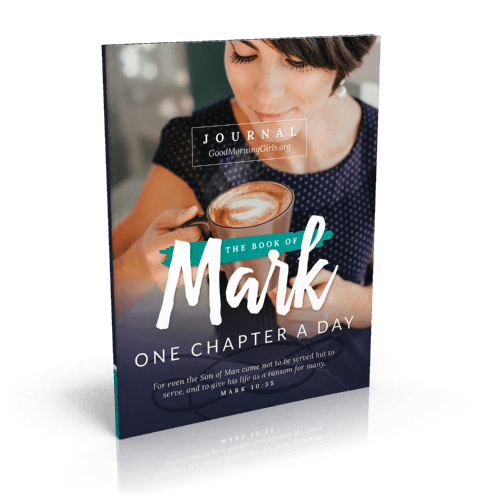 This Bible study is a study you can do alone? All I need to do is just follow your reading plan and do any other work you suggest, right ? I don’t have the book yet, but do i still have time to order it off Amazon as long as i order on August 31st? Hi Barbara – yes, you can do this alone and I can be your partner here on-line! I’ll be here on the blog every Monday and Friday and out on Facebook and Instagram daily. How easy is this to do later, on my own? Will there still be links to the daily info you post? I’m interested, but already enrolled in something else. Rather than try to do two studies at once, I’d like to wait a few weeks. All of the videos and Bible Study materials will remain available here on the blog after the study finishes. Just go to the top menu list – here on the blog – and you will see that all of my past Bible Studies are available there to go through at anytime. Here is an example of the page with all of the links for my Ecclesiastes Bible study: https://womenlivingwell.org/ecclesiastes-depth-bible-study-free-video-series/ I will create a page just like this – once the Ruth study is finished – where you can return and get everything you need to do the Ruth study on your own. Our GMG Facebook group still has room for more ladies! 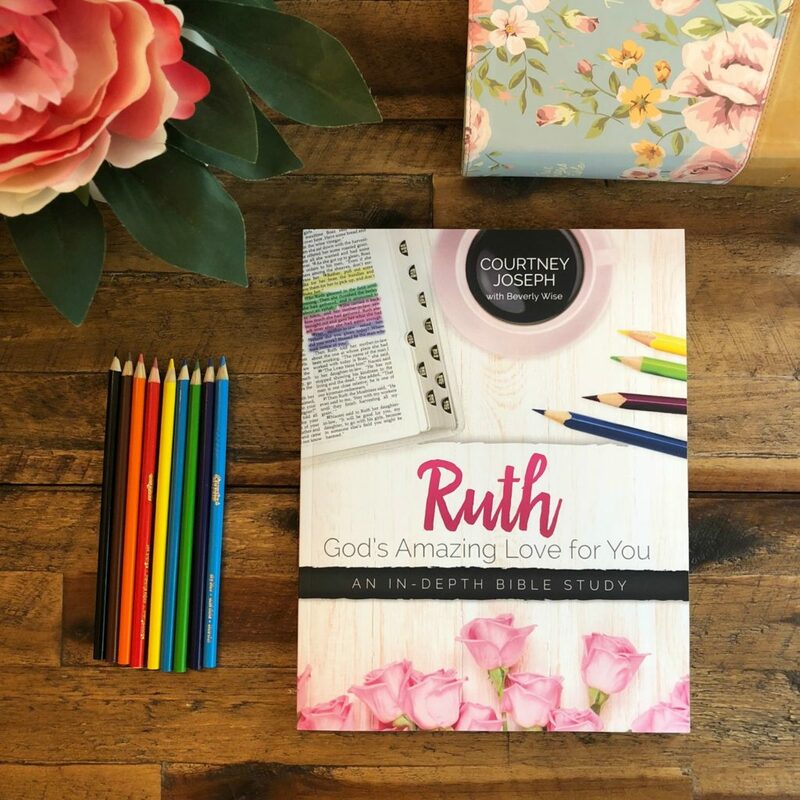 Search A Woman After God’s Heart on Facebook, leave me a message, and I’ll get you added to our secret facebook group for Ruth! Ok, I did it! You’re welcome and thank you for leading ALL of us! i am wishing to join .when i did the group search, there were a lot of groups to show up. I’m unsure of which one is or is going to be the group i need. can someone help me please. Is it possible for someone in Australia to get this book?